MINEOLA, N.Y. – Nassau County District Attorney Madeline Singas announced that a Brooklyn attorney was arraigned on a 12-count grand jury indictment today for a fatal DWI crash that killed a 21-year old driver and severely injured another motorist in September. DA Singas said that shortly after 2 am on Sept. 19, Paul Castiglione was driving a Mazda eastbound on the Long Island Expressway. His car collided with another vehicle in the vicinity of the entrance ramp from Exit 46 (Sunnyside Blvd.) and Castiglione’s Mazda then crashed into the center median concrete barrier and slid along the barrier before coming to rest. Shortly after that incident, the defendant, at that same crash scene, allegedly slammed his grey 2012 BMW into the back of a blue BMW driven by 21-year old George Ragotte, of Ronkonkoma, and also crashed into Castiglione, outside of his Mazda. The rear driver’s side bumper of Ragotte’s vehicle was pushed into the back of the driver’s seat and he was fatally injured. Ragotte was extricated from the vehicle and treated for head trauma at Nassau University Medical Center, and was later pronounced deceased. Castiglione suffered serious physical injuries, including a broken tibia, broken fibula, broken ankle, broken jaw, sprained shoulder, and lacerations. 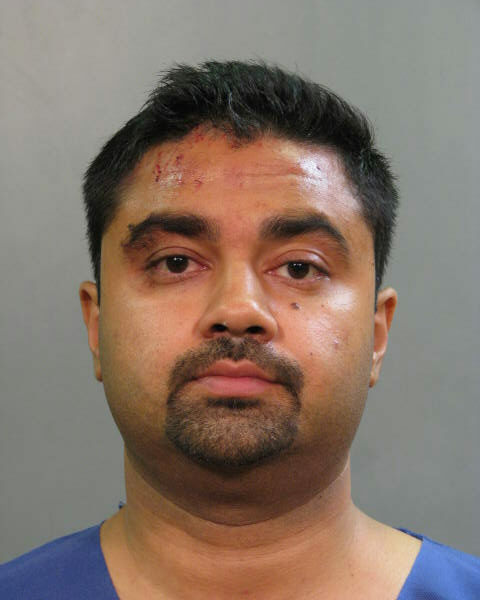 Jadeja was arrested by members of the Nassau County Police Department. Assistant District Attorney Michael Bushwack, Deputy Bureau Chief of DA Singas’ Vehicular Crimes Bureau and Assistant District Attorney Christopher Casa are prosecuting the case. Jadeja is represented by Steven Epstein, Esq.